Looking to grow your business and obtain more customers? Then you need some new leads! Many small business owners struggle to attract new customers but acquiring, developing relationships and retaining customers is critical to your long-term success. 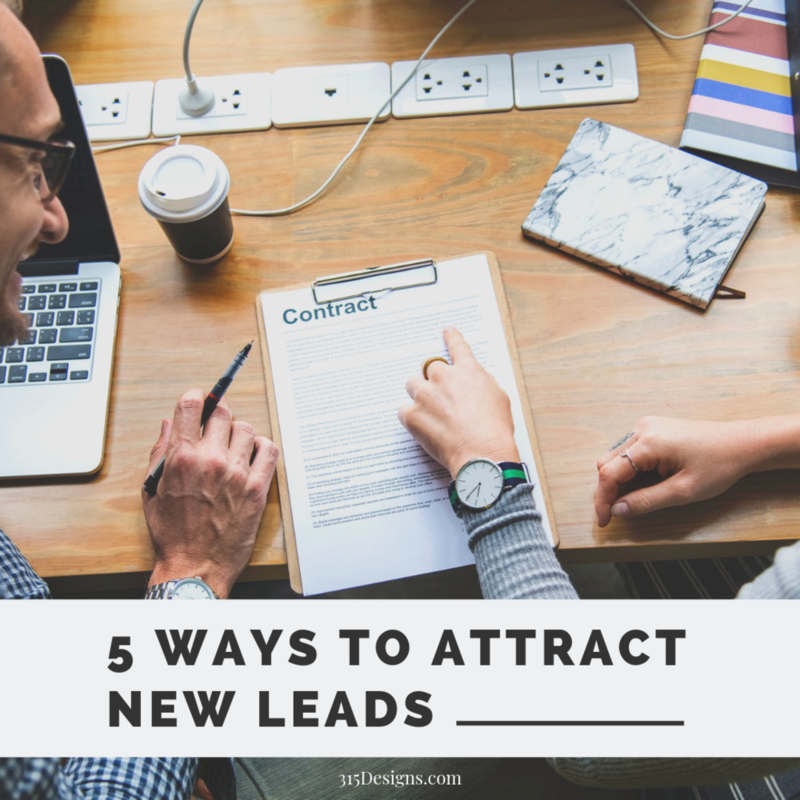 So let’s start with identifying some ways that you can organically attract and locate new customers! Here are some suggestions to get you started. Networking is the old standard which is important because it works. People like to buy from people they know or meet in person. Most business owners struggle with making the time to network. My suggestion is to try and schedule yourself to attend at least one networking function per month. Networking events are typically hosted by local chamber of commerce organizations, other local businesses, not-for-profit organizations and occasionally the media. Just get out there and mingle! Oh and be sure your marketing materials are professional looking and include your current information... And don’t forget to bring them with you! Email marketing is a terrific and cost effective way to stay in touch with your customers and contacts. If you are not already doing so, it is important to start gathering emails for your newsletter contact ‘list’. Then implement a proper newsletter system so that you can send out your newsletters (We’ll get into that more later, just remember not to ‘spam’ anyone by taking their email and adding it to your list without permission!). But if you do already have a system, try and schedule an email blast 1x or 2x per month. Example types of newsletters include periodic updates, news, promotions. One very effective marketing activity is to cross promote your business. Select local businesses that offer goods and services that compliment your offerings. Are you a yoga instructor? Then try and create connections with other businesses in the wellness industry. Offer their customers a discount on your services, and vice versa. Get to know other business owners in your area and perhaps you can host a networking event together to get more people interested. Great so now you are on your way to acquiring new customers and nurturing current relationships. If you are ready to grow your business, schedule your free 15 minute consultation with me today!